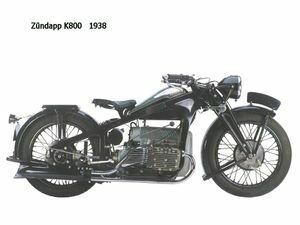 Zundapp was founded in 1917 to make gun parts. 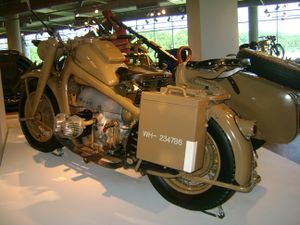 They were one of the more successful German firms for many years, with successful bikes such as the KS750 flat twin, which served in the Second World War with German troops, and the sporty 1951 model KS601, which was also known as the Green Elephant. 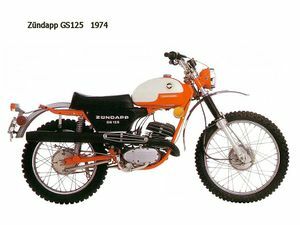 Zundapp did quite well in the 1960s and 1970s, producing many successful off-road competition motorcycles and two-stroke roadsters. Sales began to fall fast in the early 1980s. Stefan Dorflinger won the 80cc world title for Zundapp in 1984, but the firm went into liquidation the following year. 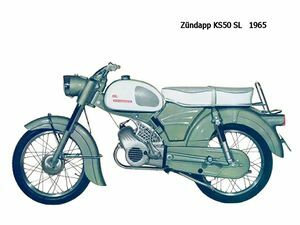 The Zundapp K800 is listed as one of the top 100 motorcycles of the 20th century. 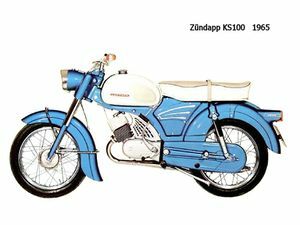 It has innovative features such as a unit construction, horizontally opposed four cylinder motor with shaft drive, a design later used by Honda for the first Gold Wings such as the GL1000. The Frame and front forks are pressed steel. 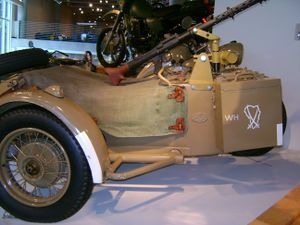 Many of these machines were used in WW2 often with a sidecar attached and were the only four-cylinder machine to be adopted by the German armed forces. 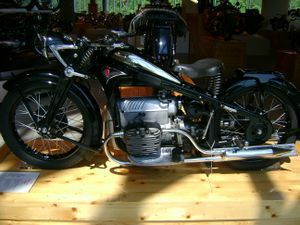 The KS750 was a specialized military model built to the same government specifications as the BMW R75. It was used by the Wehrmacht (German military) as a multi-terrain vehicle for limited attack and convoy patrol. A total of 18,635 machines were produced between 1940 and 1944. This page was last edited on 27 November 2010, at 17:04.